I travel to London on work every three to six months for meetings with investors. The first thing, apart from the weather, that you notice is the architectural beauty of the city, and the Underground stations. There is also a very distinguished way of following rules, and the English language itself is different! The Savoy Hotel has always appealed to me for its Edwardian style and its proximity to the heart of the business centre. The Ritz at Piccadilly, The Connaught in the City of Westminster and The Lanesborough are a few other places that would find a place in my list. I prefer scheduling meetings at business centres or at clients’ premises as at both these places you get time to get acquainted. London has a pace of its own, and it makes sense to pick places that offer you privacy. For getting around, the Underground service is the best option; once you get the hang of it, the service helps you navigate through the capital city. As far as dining is concerned, authentic tastes in Indian food take a fresh turn in London. Amaya Restaurant Grill and Bar, Dishoom at Covent Garden and the Gymkhana stand out in this regard. Gymkhana has its chicken dishes prepared in South Indian ways, which make them appealing. The kebabs at Amaya are a true indication of the rich traditional ways in which the dish is prepared. London has everything—music, art, the Broadway and a fast night life. Come nightfall, London opens up a whole new world of options to first-time visitors and seasoned veterans alike. Redchurch Street in Shoreditch is a place with galleries, bars and bistros, and the occasional cash-and-carry. This East End thoroughfare has been a favourite of mine. Among other things, this is a place for shoe shopping. On a slightly longer trip, travelling to Scotland is something I would recommend. The drive and the place itself are charismatic. 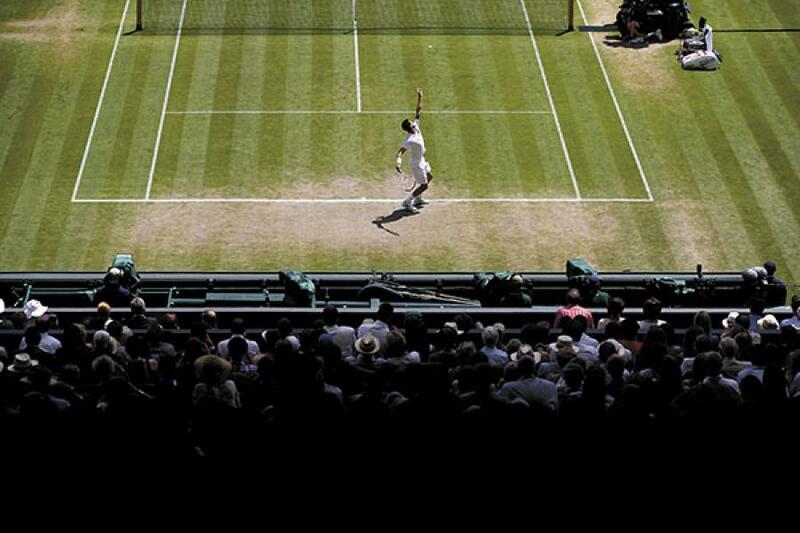 Watching one of the Wimbledon finals is also an experience that will stay on with me. The crowd reaction kept reminding me of grace and passion. Shopping at Oxford Street and Regent Street are on a ‘can avoid’ list, as pick pocketing is rampant in the crowded market. Also avoid ‘authentic English’ cuisine. Be sure to carry an umbrella or rain gear, unless you are ready to get wet. When I traveled to London I visited Victoria and Albert Museum, Science Museum,Natural History Museum. Being a lover of ancient things I like visiting Museum and trust me guys these are most beautiful museum I have visited. Apart from that, the Coca Cola London Eye is one of the other attractions of London skyline.It boasts some of London's best views from its 32 capsules. At first you might feel scared but the views that you get to see are amazingly beautiful. Would love to visit London again. London is described as the one of the traditional and cultured cities. And the life in London is like a fast lane, every thing is available at your doorstep 24*7. Redchurch Street in Shoreditch is a place with galleries, bars and bistros, and the occasional cash-and-carry. Because of the galleries and the culture, London has become one of the world's tourist attractions. Hi, I would like to share my experience.Last month I went to London with my family and I must say that it was an over whelming experience.The underground stations is something that you will be amazed to see. The hotel in which I stayed was also one of the best hotel \"The Savoy hotel\".This is one of the best hotel,the dining that it offers is splendid and is not offered by any other hotels.The Savoy continues to be one of London\'s finest luxury destinations, where history is made and innovation happens.Apart from hotel what really captured my eyes is the night life of London. At night London appears to be a different city. Loved the every bit of my travelling to London. Nice article, it talks about the most beautiful place, London. The beauty,the climate and the way of following the rules - be it traffic rules or be it any other rules, makes London a beautiful city.